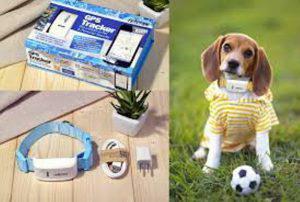 Pet GPS Tracker TKSTAR TK1000. What else to take care other than your faithful companion? It guarantees 100% security because if you lose you will be able to find it again in no time. You can watch constantly over the Internet or learn the position of making a call to the number of sim card. Make a call and the device will send an SMS with the link address to find. You will see in real time who is also the route that made the whole day. The device notifies you immediately if moved outside the geographical boundaries that you’ve set to move. The device will also notify you if you go up to a car or motorcycle. Place the device one card mobile phone sim through Gps will ever know where you are to within 5 meters. The package includes the charger device, user instructions and the tenants’ strap for the neck. It’s beautiful light and adjusts perfectly to the neck of your katpoikidio, allowing you to see exactly the Semites who find each time. The constantly monitor the Web or on your mobile phone. Click here to download the application for iOS. Click here to download the application for Android. Click here to download instructions for the application. Real time tracking it by cell phone and platform . Also can support get location every 5 seconds, and the GPS accuracy is 5m-50m . SOS button ,when user have emergency , press the SOS button ,the tracker will send help me SMS to all authorized phone number and monitoring web platform. Set up a geo-fence for the unit to restrict its movements within a district ,unit will send a message to the authorized numberwhen it breaches the district..